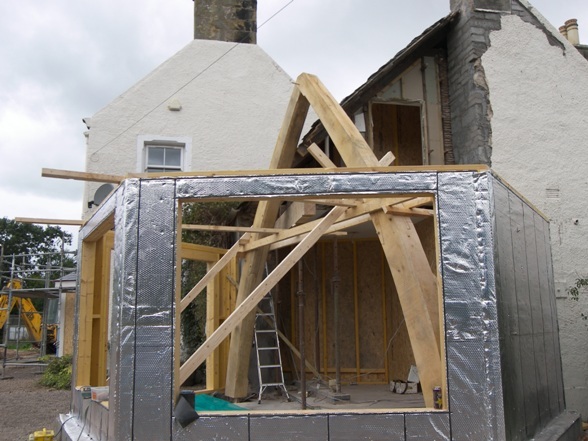 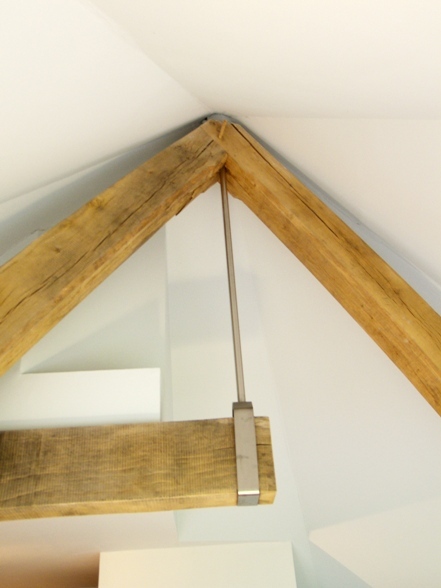 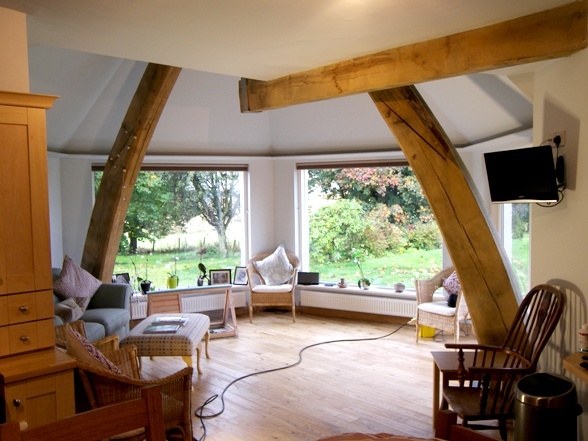 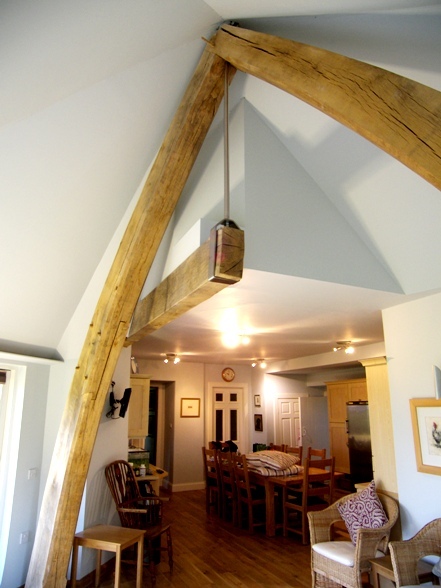 Orwell Farm extension : A cruck frame in a hexagonal sun room which supports the corner of the existing house (the upstairs bathroom) via a large floor beam hanging from a steel rod. 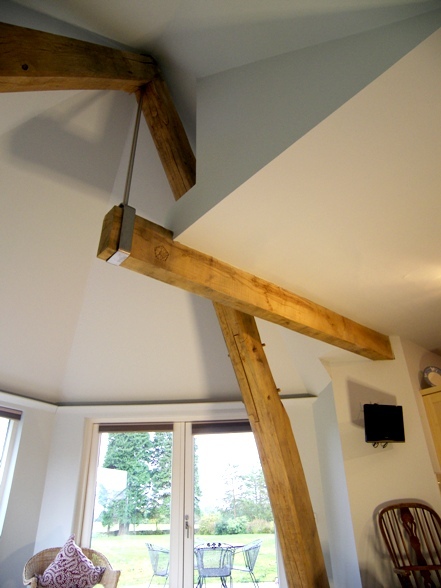 A very unusual arrangement designed by Matthew who wanted to find a way to avoid a post in the middle of the new room. 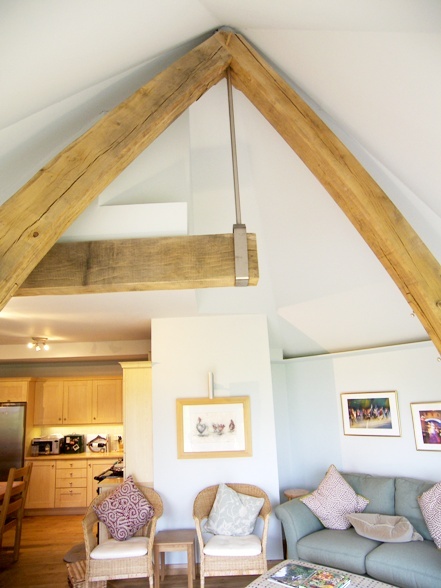 It has worked beautifully and has resulted in a striking internal space. 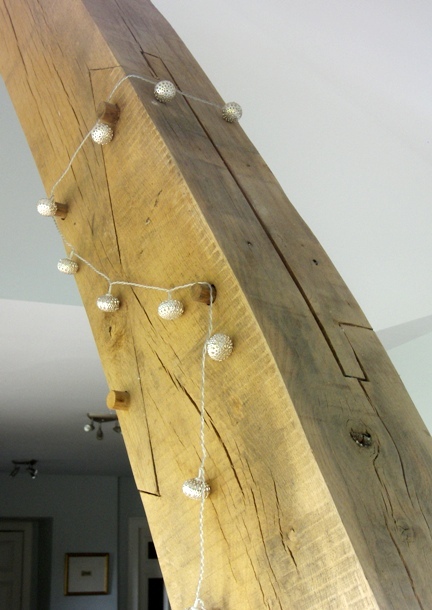 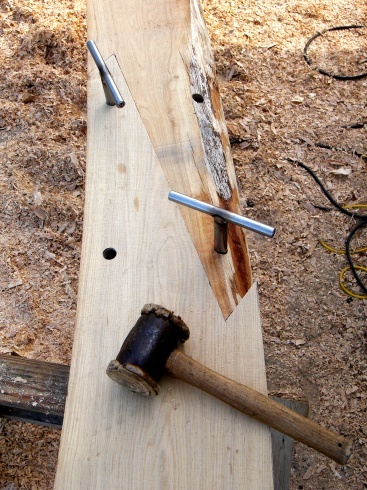 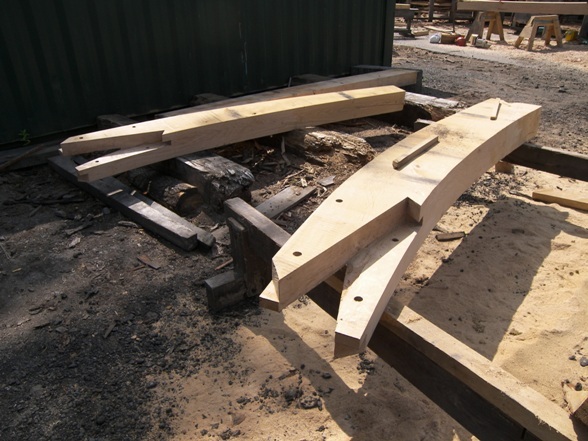 Due to time constraints and a lack of sufficiently curved timbers to use for the crucks, we decided to make each one out of two pieces joining them together using a scissor scarf. 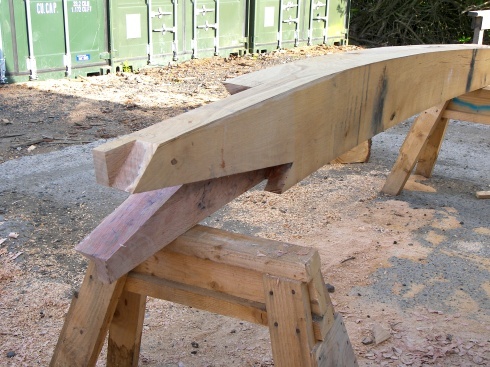 This is a tricky joint and was quite a challenge to do in curved timbers. 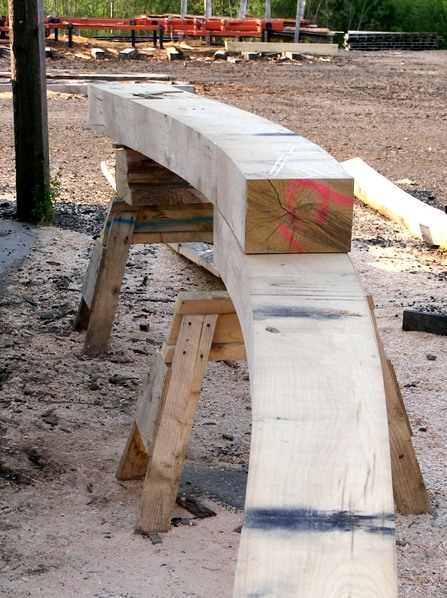 If you like funky joinery this one would I think come quite high on your list. 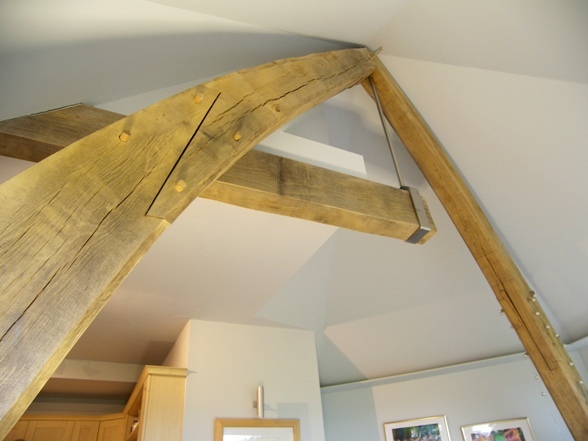 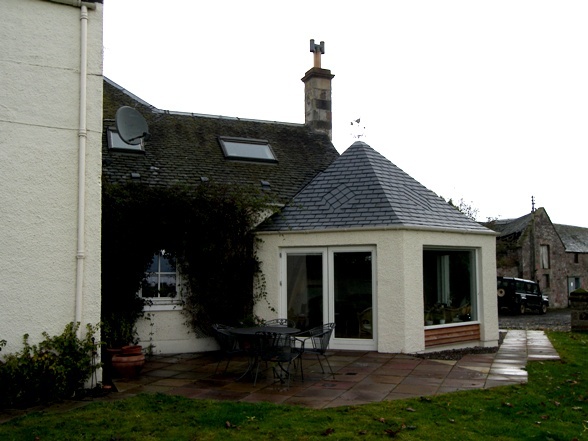 The architect was Matthew Pease and the timber supplied by Scottish Wood.